Traditional Chinese Medicine has five seasons, Spring, Early Summer, Late Summer, Fall, and Winter. There are specific dietary needs during each season. 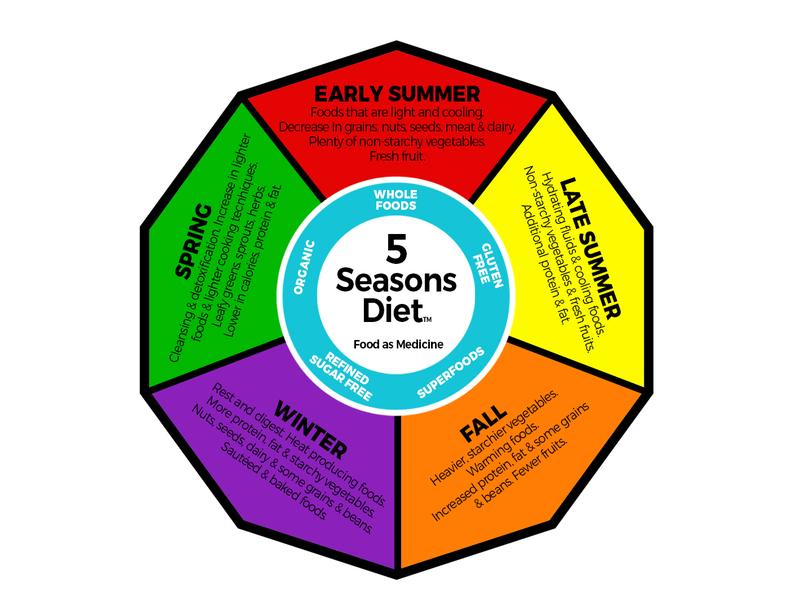 Below is a summary of the 5 Seasons Diet and what our menus focus on seasonally for optimal health.